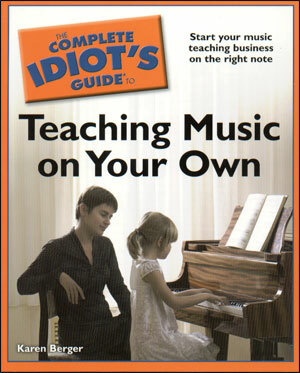 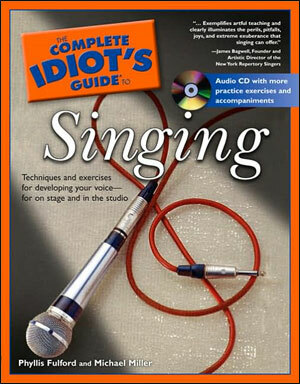 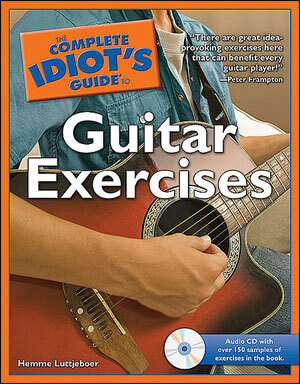 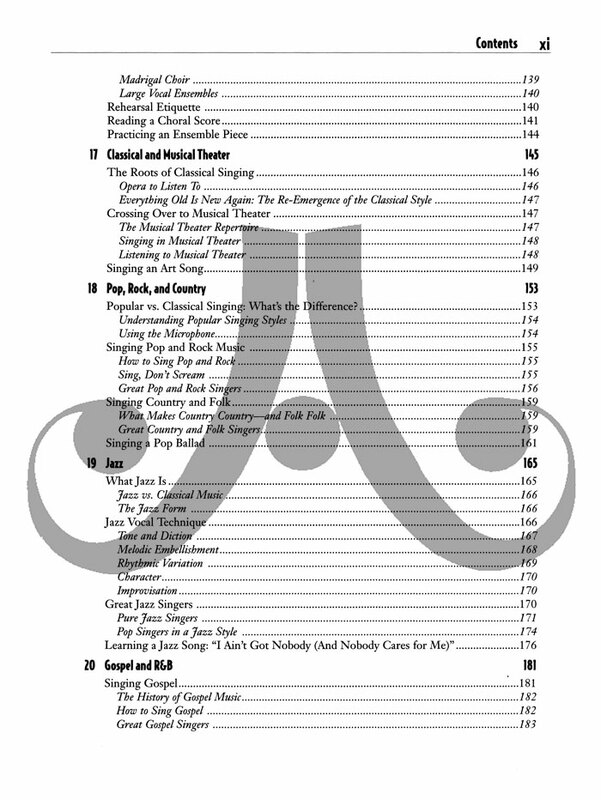 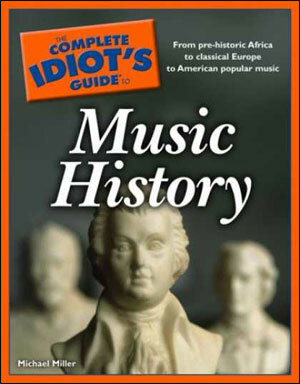 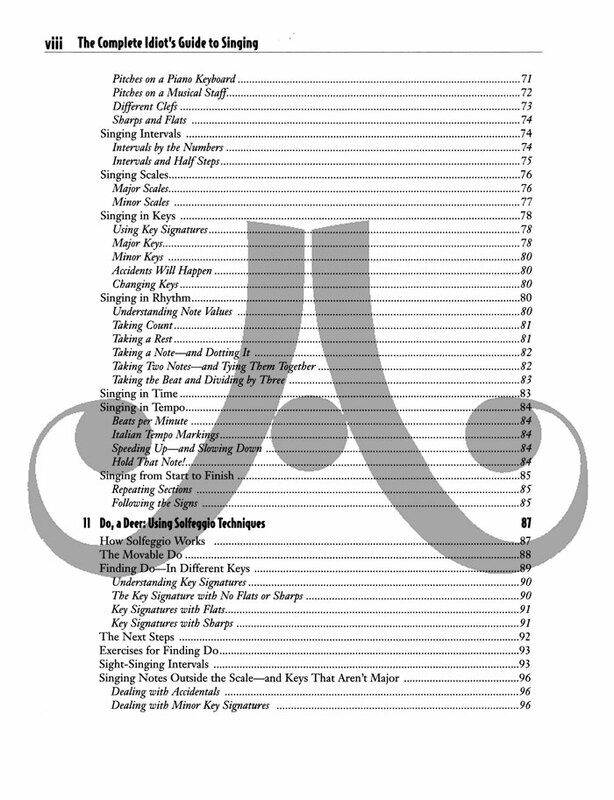 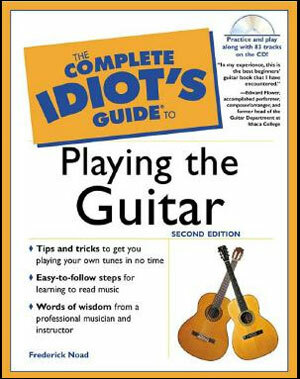 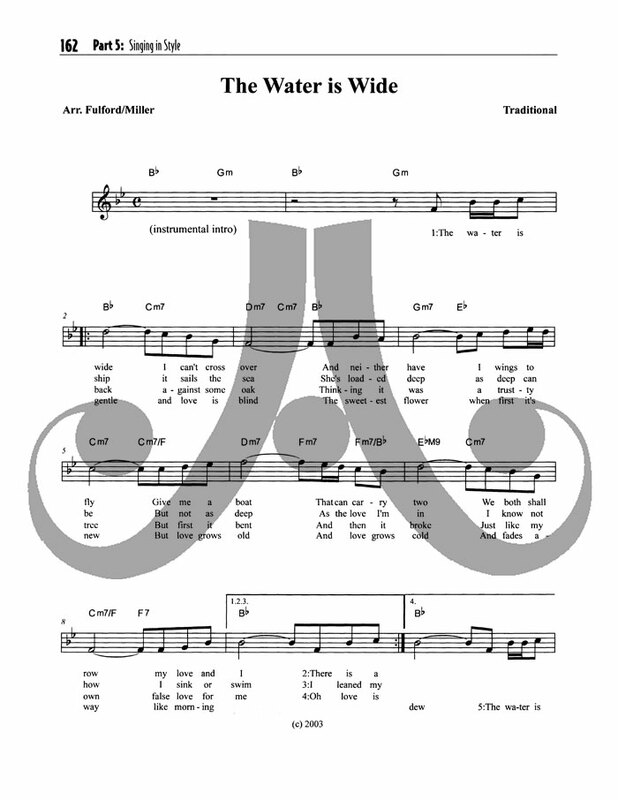 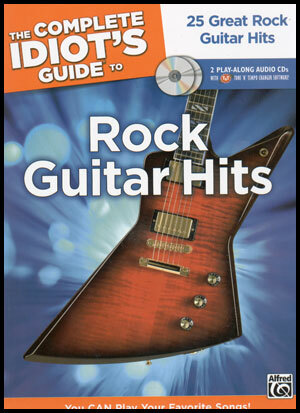 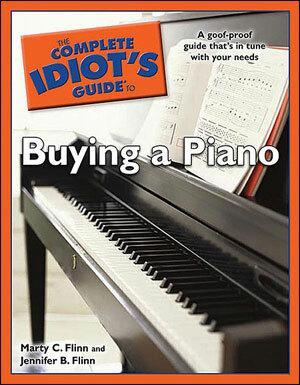 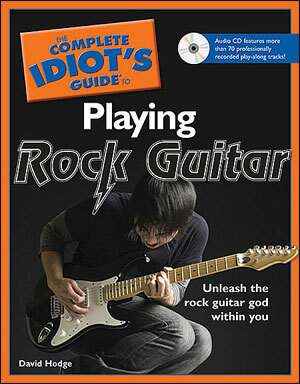 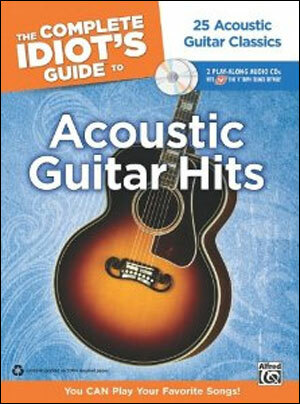 This easy-to-read guide teaches you how to become a better singer! 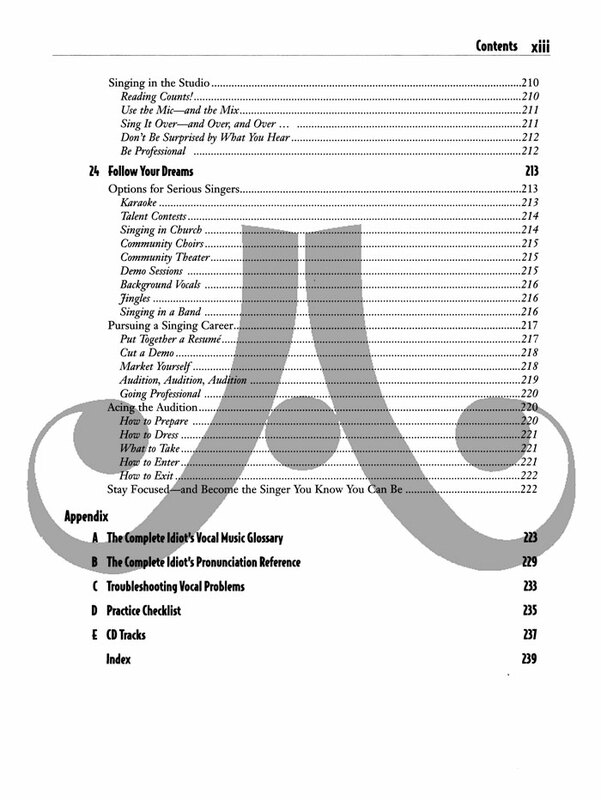 Topics include finding an ideal singing range, tips on how to stand and breathe properly, techniques for singing in various styles, advice on overcoming stage fright, and much more. 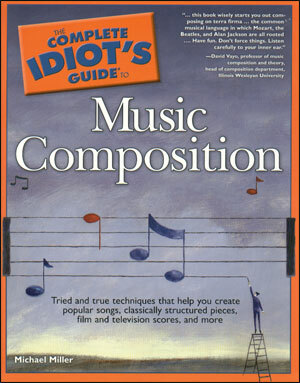 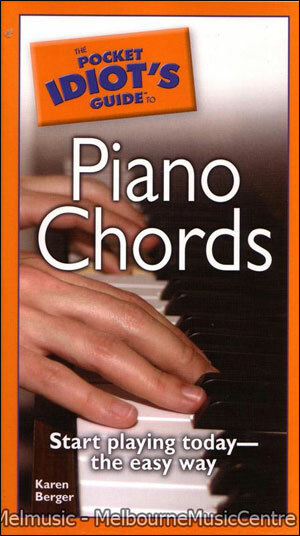 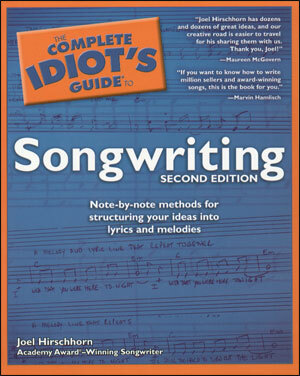 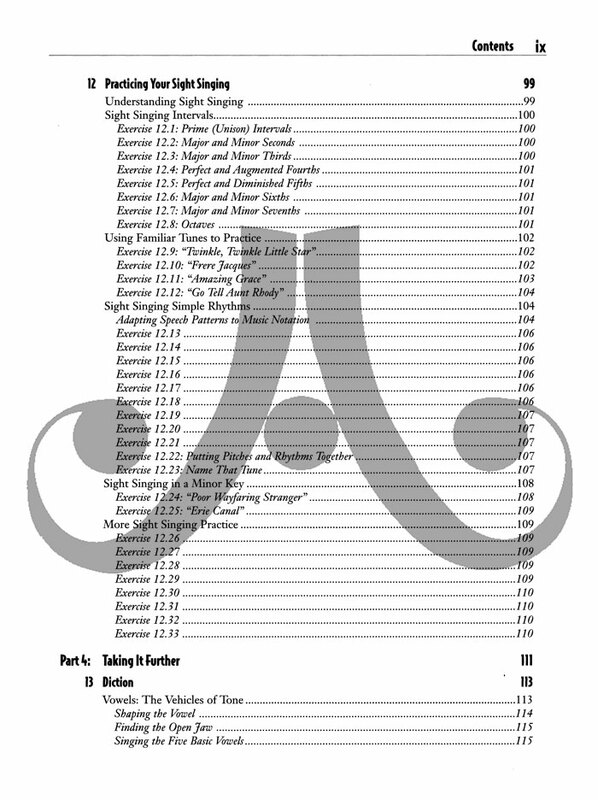 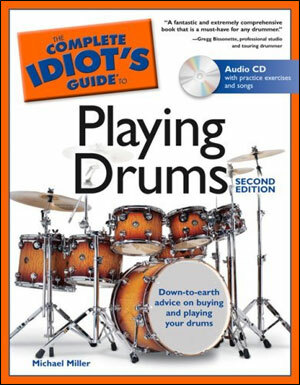 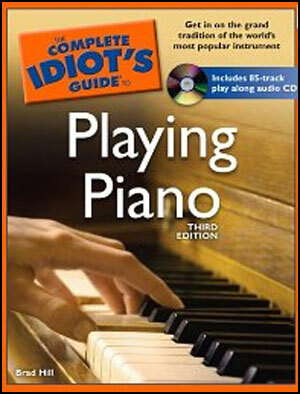 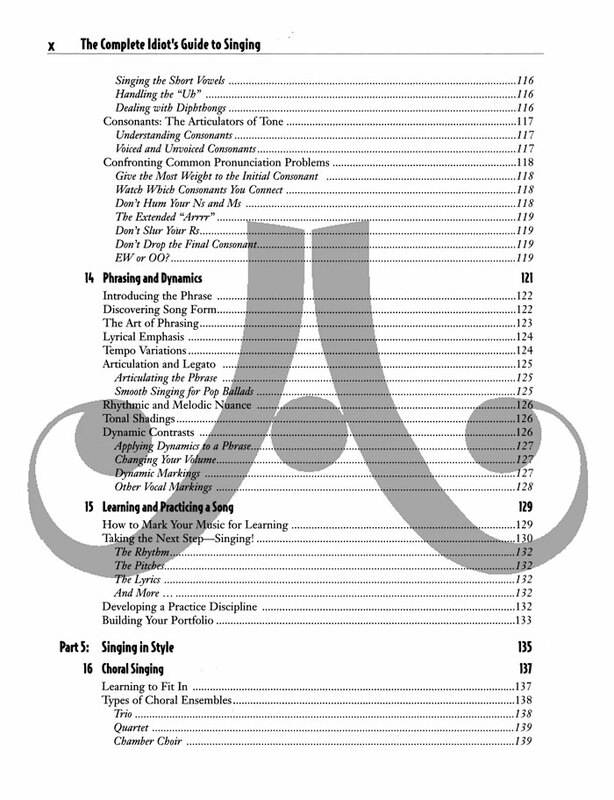 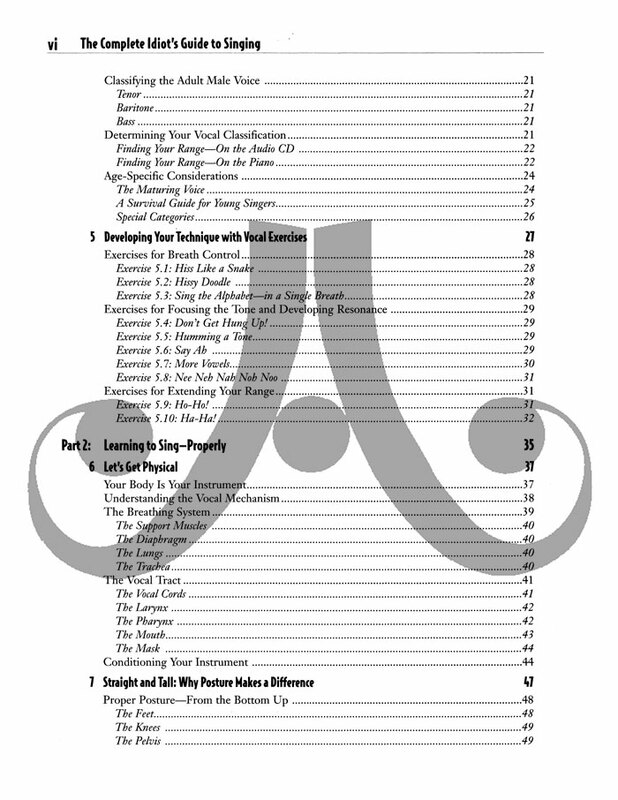 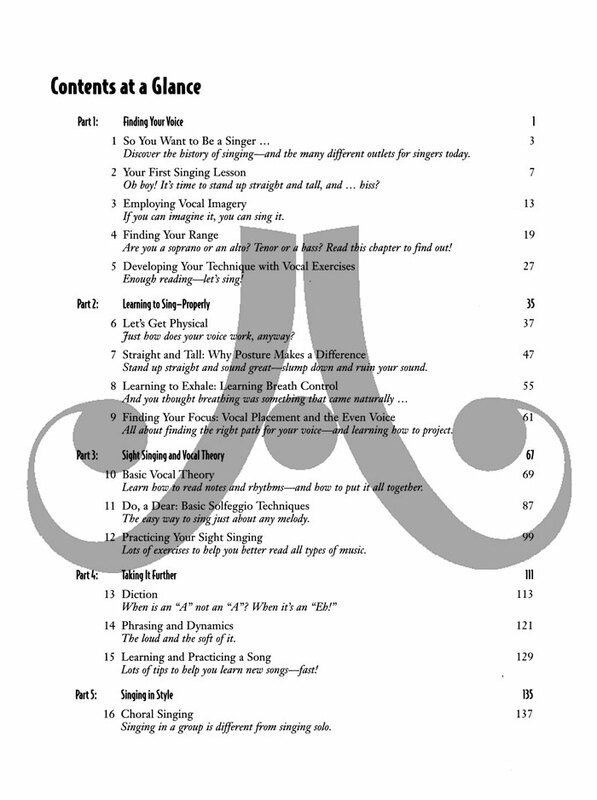 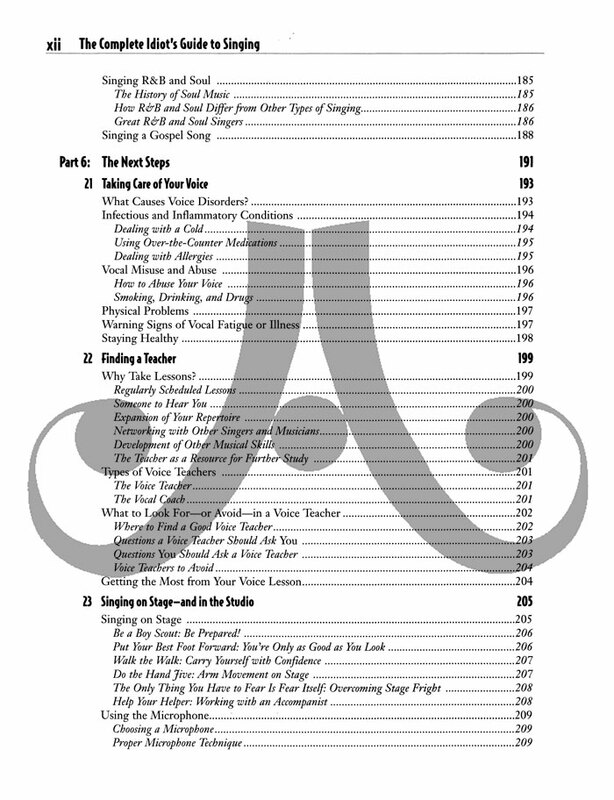 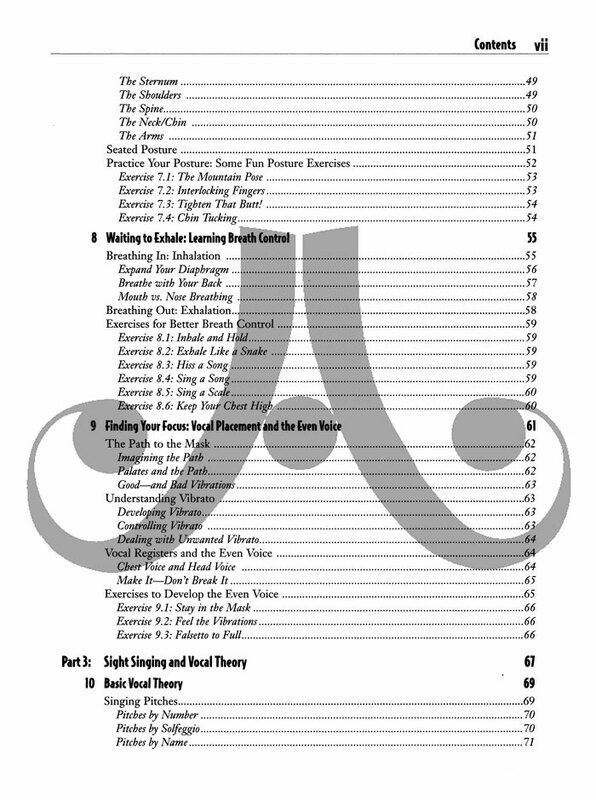 Also includes an audio CD with examples of different techniques and accompaniments for the singing exercises in the book.